From the DPC Education Center comes a conference call on Bone and Mineral Disease. Why is this important or relevant to dialysis patients? Well, that pesky phosphorus (See Dialysis and Phosphorus Control) leaches calcium from your bones and replaces it with phosphorus. 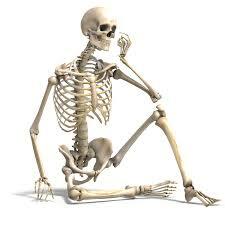 Your bones go from being white with calcium to black with phosphorus! Then, the bones become brittle and break easily. I have several friends who have experienced severe broken bones and some are now wheelchair-bound because of this. This is a very serious issue and it’s why the doctors and staff are so concerned with you phosphorus, calcium and parathyroid levels. If you are available to dial-in to the conference June 16th, do so. Otherwise, the session will be recorded and available later on the DPC Education Center website. The DPC Education Center will hold an educational call on bone and mineral disease metabolism (BMM) disease on Tuesday, June 16 at 3pm Eastern Standard Time (EST). Chronic kidney disease patients sometimes experience BMM problems, and many dialysis patients also have some form of BMM disorder. This entry was posted in Bicarbonate, bones, calcium, dialysis, Dialysis Center, dietary restictions, ESRD, fluid control, New Patient, patient care, Patient Responsibilities, phosphorus, potassium, Uncategorized and tagged bones, calcium, CKD, control, dialysis, Dialysis Patient Citizens, DPC, education, ESRD, hemodialysis, kidney, patient care, phosphorus. Bookmark the permalink.